One of the greatest pleasures of shadowing a prize is the chance to encounter writers, often of long-standing, for the first time. Roy Jacobsen is a case in point: The Unseen is his thirteenth novel, and the fifth to be translated into English (by Don Barlett and Don Shaw). It appears with a title and cover suggestive of the horror genre, but is, in fact, firmly historical, set at the point in Norway’s past where modernity begins to threaten a way of life which has been handed down from generation to generation, around a hundred years ago. This may be why Jacobsen chooses an island setting for his novel; islands typically lag behind the mainland, resisting or unaware of change. In a sense, the novel becomes two stories: that of life on the island, and that of the interactions the islanders have with the outside world. Only one family live on the island (and also use a number of smaller, surrounding islets), named, like the island, Barroy: Hans and Maria, their daughter, Ingrid, and Hans’ father, Martin, and sister, Barbro. They farm, sell eiderdown, and Hans also has a half-share in a fishing boat with his brother. This is a difficult call for a translator: if he uses a UK dialect he runs the danger of transposing the story to the UK; if he invents a dialect it may jar with the reader (or, worse, read like a fantasy novel!). Although I had some issues with the spelling (‘nu’ = new ‘heir’ = here) and the use of apostrophes (which only indicate it is another language spoken wrongly), I quickly became accustomed to the speech, and it was certainly important not to render it in standard English. Intrusions from the mainland are rare, but often significant in the novel. When Hans hires some Swedish labourers to help him build a jetty, Barbro sleeps with one of them and falls pregnant. Lars becomes a sixth addition to the island’s population. When a further two children arrive later by other means, we begin to see the island as a refuge with an instinctive care for children which is seen to be lacking on the mainland. This is, perhaps the ‘unseen’ of the title, though their fears do eventually fade. Yet the drive towards capitalism comes from within as well as without the island. For this reason I was reminded of the archetypal island novel, and exemplification of industry and Protestant work ethic, Robinson Crusoe. From the beginning Hans is set on making improvements to the island; some of these are for the comfort of the islanders, but others relate to increasing trade with the mainland. Towards the end, Ingrid takes on the mantle, negotiating prices for stockfish and eggs. The Unseen vividly and convincingly places its reader on Barroy. Jacobsen brings the past to life with a level of detail – in particular a sense of how the past might feel – which makes me want to read his other historical novels. If the novel seems to stop rather than end, that too enhances its reality. As island life continues, unseen, the tides of history wash at its shore. 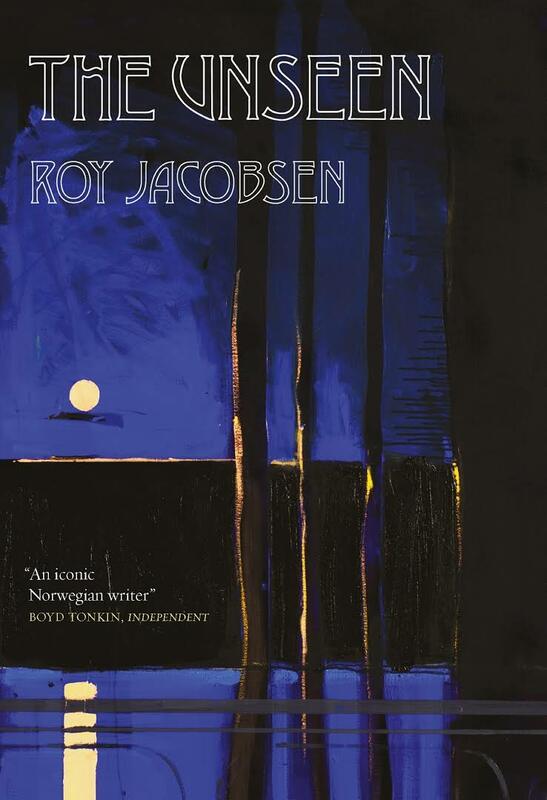 This entry was posted on March 27, 2017 at 7:34 pm and is filed under Man Booker International Prize 2017, Roy Jacobsen. You can follow any responses to this entry through the RSS 2.0 feed. You can leave a response, or trackback from your own site. I do have a couple of Norwegian writers I particularly like – Dag Solstad and Lars Saabye Christensen – but there are others (for example, Tarjei Vesaas) I’d really like to read. What do you think the thing is that the convict robbed them of, that they never knew they had? To me, it was not only a sense of safety on the island, but a certain trust that the menfolk would take care of them. I admired Ingrid’s fortitude and courage, the way she ended up holding everything together. I agree – in some ways they have to rethink their identity. I also felt that Ingrid pulled things together at the end – though you sense that she also signals a change. Every time I read a review of this book I’m transported back to Tove Jansson’s island stories in A Winter Book, her island is off the coast of Finland but shares a similar feeling of preferred isolation and annoyance at the arrival of intruders, one whole story dedicated to the disruption caused by the landing of a squirrel who sailed in on a plank of wood and occupied her mind with worry and annoyance until it sailed off again! I think I might enjoy this one! Wonderful review, it really evokes the atmosphere of the novel. It is a very atmospheric novel. I have a copy of The Winter Book and really must get round to reading it.